In this, online Quran Reading course, students will learn the recognition and pronunciation of Arabic words. Learn to 'Read' Quran is one of the fundamental obligations for every Muslim, as Quran is divine books which guide Muslims about every aspect of life. Therefore, it is necessary to learn the proper dialect and pronunciation of Arabic words in order to comprehend it and apply it in general life affairs. Quran Reading Online course is specially designed for kids. It will help the kids to learn reading Quran from the root. It will take help of 'Noorani Qaida" which is of the fundamental importance for beginners who want to learn Quran. Kids will get the recognition of Arabic words (Haroof), and then learn to join these letters to form words. Our esteemed teachers will guide the kids to pronounce the words and will teach them the rules of the Arabic language. This course will help students to learn about 'Tanween', 'long and short vowels', rules of 'Ra' and "Laam', soft vowels, 'Waqf', 'Noon Qutni' etc. which ultimately leads them to articulate Quran in an authentic way. This online course will not only help students to read but to read in a proper Arabic accent. We have hired teachers from all over the world who have a complete grip on Arabic accent and their credibility cannot be challenged. Learn to read Quran is of utmost importance, as reading Quran in its constitutional language has its own blessings and grace. 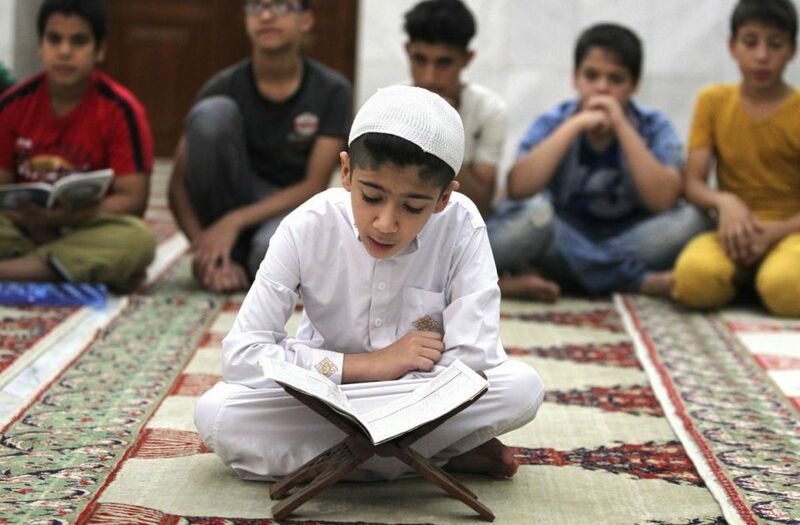 Reading Quran alone in Arabic will shower countless blessings upon its readers, so it is the duty of elders and parents to provide their kids with a platform where they can easily learn to read Quran. Kidsquranonline.com is an online forum where your kids get familiar with the Arabic language at the start and eventually will end up as professional readers of Quran. This is the legitimate and most trustworthy forum, where your kids learn to read Quran with accuracy and authenticity. Unlike other platforms available for Quran learning, your child can get one to one and individual attention of our trained teachers who are always ready to teach help our students. Hence, you can register your kids on our website and can get a free trial in order to get familiar with our course outline and our methodology of teaching. We assure you that you are on the right platform you were looking for, you can trust and can show up your kids to the world of right Arabic accent and pronunciation.